Power is a funny thing in Washington. It can certainly be argued that real power in Washington lies beneath the dome of the Capitol, or within the iron gates of the White House, or even in the chambers underneath the basketball hoops of the top floor of the Supreme Court building. But perhaps the most powerful institution in Washington resides on Constitution Avenue NW, behind the relatively imposing façade of the Federal Reserve building. For anyone who doesn’t know what QE stands for, or is wondering if the recent market obsession with bonds has anything to do with 50 Shades of Grey, then the Federal Reserve, or just the Fed, can seem a little confusing. But the decisions the Fed makes are incredibly important for the economy, and more importantly the Governors of the Fed do not have to stand for reelection like the President, nor do they really need to answer to any other institution. This means that in times of political gridlock, like today, the Fed is sometimes the only institution doing anything for the economy. Here, for those who don’t know what’s controversial about the word “tapering”, is a bare bones primer on what the Fed is supposed to do and what its doing today. Like most central banks, the Fed has a responsibility to keep inflation at a reasonable level. This usually means making sure that prices for goods and services don’t rise too quickly. The Fed also has a mandate to fight to keep unemployment low. This requirement is a bit easier to understand; the Fed is basically trying to lower the unemployment rate when necessary. 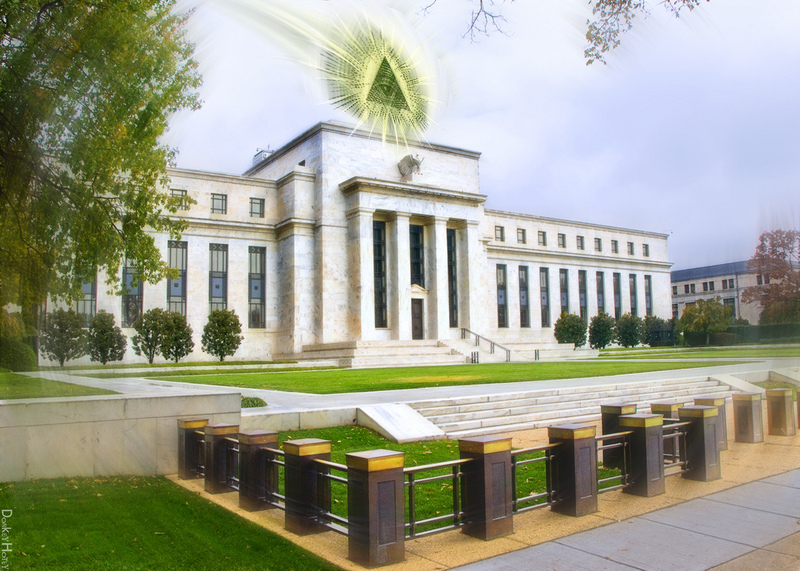 The Fed’s main tool is its ability to control interest rates, which are essentially the costs of borrowing money. When interest rates go up, it becomes more expensive for firms and households to borrow to fund projects and purchases, and as a consequence the economy slows down a bit. This usually raises unemployment, but also lowers prices and inflation. Of course the opposite is true as well; lowering interest rates usually speeds up the economy, lowers unemployment, and raises inflation. To lower interest rates, the Fed purchases bonds – a fancy way of saying that the Fed makes a bunch of loans (usually to the US government) – forcing all other lenders to lower interest rates on the loans they make. Once again, the opposite is true; the Fed sells bonds to raise interest rates. The catch to all of this is that the Fed cannot lower inflation and lower unemployment simultaneously, meaning the Fed has to carefully balance its two mandates. In general, the Fed lowers interest rates in poor economic times and raises them in good economic times. The Great Recession created an obvious need to lower interest rates to lower unemployment. So the Fed lowered them, again and again, until they ran into a problem. The Fed had lowered the interest rate for short-term loans, which is the rate they can control by buying bonds, basically to zero. Unable to lower this rate any further, but stuck with high unemployment, the Fed decided to come up with a way to lower longer-term rates, which were still a bit higher. The Fed accomplished this by buying not just short-term bonds, but also those derived from longer-term loans, like those based on home mortgages. This process is called Quantitative Easing (QE), and the Fed is currently buying $85 billion of longer-term bonds a month – the equivalent of the GDP of Ecuador. QE is intended to keep long-term interest rates low, making it cheaper for businesses and families to take out loans for longer-term investments or to buy homes. The recession technically ended a few years ago, and some data has suggested that the economy is doing well enough that the Fed can begin the process of winding down, or tapering, QE. The prospect of tapering sent markets into a tizzy two weeks ago. While things have calmed down a bit, investors are still worried that for various complicated reasons that tapering will lower stock prices. The problem with all the talk of tapering is that it’s all speculative. The Fed uses a very subjective rule when determining if the economy is strong enough to taper, and when you take into account the fact that nobody knows what the economy will do, it becomes pretty hard to predict the Feds future behavior. However, theoretically QE will eventually end. So while nothing in this post can tell you what will happen in the foreseeable future, when things finally settle down years from now you can hopefully use your newfound knowledge to understand what goes on at the Fed in normal economic times. Or at least use it to sound smart at fancy parties. Tags: 50 Shades of Grey, economy, Fed, Federal Reserve, GDP, Inflation, QE. Bookmark the permalink.